A web-based Point of Sale system that uses PHP language script and uses MySQL as the back-end data storage. Everyone knows the definition of an Open Source POS system. However, choosing that one great open source point of sale system perfectly moulded for a particular business can be a perplexing, daunting task, for new and experienced business owners alike. It is vital for a POS system to be have ease of use in both setup and use. Handling setup and training employees should ideally be a matter of a few minutes. The POS system should not feel overwhelming and complicated, instead, should have an intuitive interface that is simple to learn, understand and use, and all tasks must be easy to execute. A great POS system must facilitate seamless multichannel management and integration. POS integration lets business owners simultaneously leverage several different tools by letting diverse applications interact directly with one another. This means that rather than dividing time among varied tasks, all applications get automatically synced and ready to work. For instance, if your POS system can be synced with your email account, you can use the former to gather customer email addresses at the point of transaction and have all email addresses directly sync with email. As a result, you can skip the tedious task of manually updating your email list each time you need to send out communication to a certain set of customers. 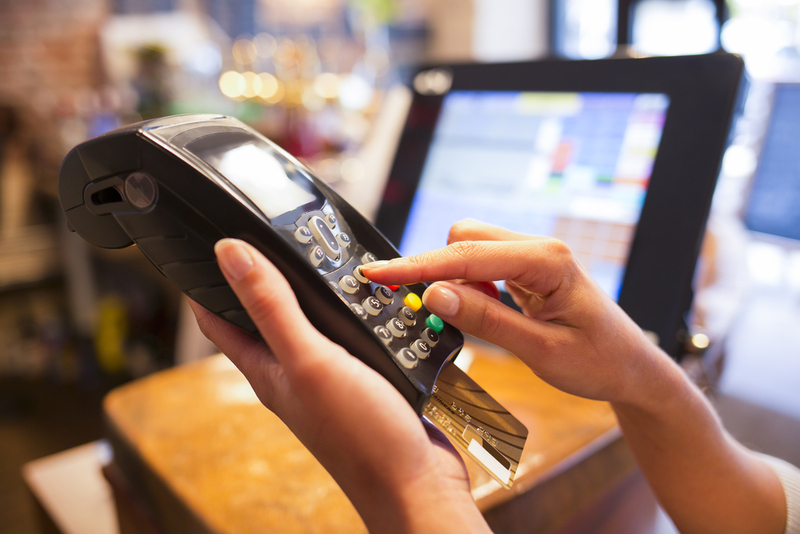 A good POS system must not only facilitate seamless transactions and inventory management, but also allow data access such that sales move forward and the business touches new heights. In addition, seamless reporting is a vital functionality that an excellent POS system must provide. Beyond regular reporting like higher sales transactions/amounts and better data access, the POS system must make available other additional report types like inventory re-order, sales and inventory activity sorted by date ranges, top selling items, specific report types, customer activity, etc. Superior quality and intelligent reporting also includes the ability to remotely monitor from anywhere and anytime how your sales team is performing. Real time checking of average sales value, net sales, transaction tallies, and total number of customers, etc. should be permitted by the POS system directly from a tablet or smartphone. It is critical that a POS system be scalable enough to support your growing business at all times. The selected vendor must have a proven track record in multi-site retailer support and the technology must support centralized real-time transaction processing. Additionally, the correct POS system for a particular business must resolve the business’s specific problems. If pricing controls are a problem, the system must necessarily resolve this. If the business has to regularly send targeted email marketing based on POS-contained customer data, the POS system must take care of this. If sizable amounts are spent on cumbersome manual processes exclusive to a particular business, it becomes essential to figure out if the POS system can eliminate those tedious processes and save that money. All this will ultimately ensure that ROI is boosted to a significant extent. Of course, affordable pricing and excellent customer support should come as a package deal with any system. While it is alright for pricing of different systems to vary, the important thing is transparency. It makes sense to look for a POS system provider offering upfront and competitive pricing. Also, it is better for contracts to be optional, not mandatory. Customer support must be available round-the-clock, through all communication avenues – email, phone, live chat, etc. Every question must be addressed within a reasonable time frame, and the support should be free and unlimited. Once these simple, yet important points are addressed while looking for a POS system, you are pretty much on the right path. It is non-negotiable to do maximum research before zeroing in on any system – greater the research time, better will be the business results in future, making you realize you handpicked the perfect POS system.